As our population continues to age and the rates of dementia soar, the benefits of blueberries take on a much more significant meaning. We, at NaturalHealth365, only wish that more doctors would embrace the healing power of this amazing fruit. Think about this: By 2050, the U.S. Centers for Disease Control and Prevention (CDC) expects the incidence of Alzheimer’s disease to nearly triple, from its current rate of 5.5 million. Clearly, the brain is crying out for help. Recent studies have highlighted the potential of compounds from blueberries to prevent and treat neurodegenerative diseases and age-related cognitive deficits – but the benefits of blueberries aren’t limited to the brain. Researchers say that this superfood has the ability to help alleviate over a dozen serious health problems – in fact, it is difficult to think of a body system or condition that blueberries don’t improve. In a 2015 study published in Journal of Agricultural and Food Chemistry, researchers discovered that a blueberry extract had antibacterial effects against Fusobacterium nucleatum, a microorganism associated with periodontitis. The blueberry extract inhibited the formation of persistent bacterial biofilms – while reducing the secretion of pro-inflammatory molecules such as interleukin-6. Blueberries have the ability to relax blood vessels and contribute to the flexibility of arteries, thereby lowering blood pressure. In one study, researchers found that people with the highest regular intake of blueberries had an 8 percent lower risk of developing hypertension. One animal study showed that blueberries lowered systolic blood pressure by up to 30 percent – even in the presence of a diet very high in fat. How about delaying aging and promoting longevity as a benefit? By improving tolerance to environmental stress and helping to promote resistance to degenerative diseases, blueberries also showed off their adaptogenic qualities. Blueberries fight heart disease by lowering levels of LDL cholesterol, which can contribute to plaque buildup in the arteries. One study showed particularly substantial reductions (34 percent) in LDL cholesterol, along with a desirable 40 percent rise in beneficial HDL. 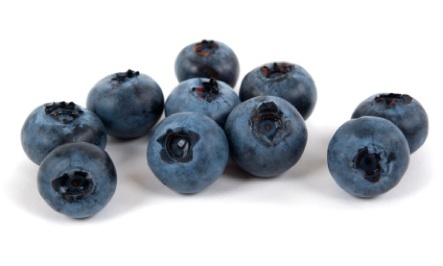 In addition, blueberry extracts were shown to reduce damage after heart attack and improve survival rates. They also reduced triglycerides, or fats, by an impressive 50 percent, and slashed levels of the pro-inflammatory amino acid homocysteine. With stellar scores on the ORAC scale – a measure of antioxidant capacity – blueberries are high in constituents that scavenge harmful free radicals and prevent oxidative damage. In addition to providing a slew of antioxidant anthocyanins (natural plant pigments) of their own, blueberries promote the production and function of superoxide dismutase and catalase – two of the body’s most important antioxidant enzymes. And, although fresh cultivated blueberries outscored all other tested fruits and vegetables, their antioxidant capability doesn’t equal that of wild blueberries, which had the highest scores of all. Blueberries are rich in pterostilbene – a cancer-fighting compound closely related to resveratrol – and combat cancer by a multitude of actions. They help prevent DNA damage – thereby warding off potentially cancer-causing mutations – while reducing the growth rate of cancerous cells and promoting apoptosis, or programmed cell suicide, in malignant cells. Recent research has shown that blueberry extracts can suppress MMPs, or matrix metalloproteinases – destructive enzymes that promote the invasion and migration of cancer. In addition, they boost the activity of natural killer cells, which target and destroy pathogens and cells showing malignant changes. Blueberries have been shown to decrease body fat – particularly in the abdominal area, where it poses the greatest risk of cardiovascular disease. In several studies, animals fed blueberry extracts while on a high-fat diet had lower overall weight gain and smaller accumulations of body fat than control animals. Researchers say that blueberry extracts have shown the ability to help prevent metabolic syndrome, a cluster of unhealthy conditions that usually includes obesity. By promoting sugar intake into muscle cells, blueberry extracts encourage the conversion of sugar into energy, rather than stored fat. Blueberry extracts improve glucose transport into cells, which helps lower blood sugar, prevent after-meal glucose spikes and reduce insulin resistance. In one human study, obese subjects with insulin resistance who were given blueberry smoothies twice a day for six weeks improved their insulin sensitivity by fourfold, and experienced better blood sugar control. Believe it or not, blueberries can help older people get around. A study published in Applied Physiology, Nutrition and Metabolism showed that two cups of blueberries a day for six weeks caused significant improvements in the movement and mobility of elderly people, with increased walking speed, fewer step errors and better foot placement. 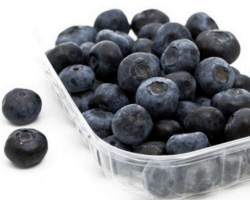 By reducing risk of falls and promoting mobility, blueberries help improve quality of life and preserve health. Blueberries even provide beauty benefits. In several studies, blueberry extracts helped to restore skin thickness and firmness, promoted a smoother, more radiant appearance, and reduced fine lines and wrinkles. Blueberries can support the production and maintenance of strong, dense bones. By helping to create more active bone-reproducing cells, blueberry extracts can reduce post-menopausal bone loss and make bones more resistant to fracture. Blueberries can reduce damage to the eyes from ultraviolet light, improve cell survival and help to ward off macular degeneration. In extensive studies, blueberry extracts have been found to slow age-related damage to brain cells, protect memory-associated brain regions from oxidative damage, and improve overall cognitive function. Researchers have found that blueberry extracts’ ability to enhance blood flow to the brain can caused marked increases in brain activity and improvements in working memory. In addition, blueberry polyphenols can reduce the deposits of harmful beta amyloid proteins associated with Alzheimer’s disease. How do I put blueberries to work for me? Although some studies were conducted using blueberry juice or fresh, frozen or powdered berries, most used blueberry extracts as an inexpensive and effective way to obtain maximum blueberry benefits. Of course, you can always blend fresh organic berries into smoothies, sprinkle berries in salads, add them to pancakes or nibble them out of hand as a snack. Remember: wild blueberries are even more beneficial than their domestic counterparts. If you are fortunate enough to live in an area of the country where blueberries grow wild, you can harvest a veritable bonanza of health-giving berries when in season. If this isn’t possible or practical, you can purchase frozen, dried or powdered wild blueberries. Blueberries provide such a wealth of benefits that they can seem “almost too good to be true.” But, rest assured – cell, laboratory, animal and human studies are showing the extraordinary physical and mental benefits of these luscious little fruits. Exploit their health-giving potential to the fullest, and enjoy a bowl or three. We take a look at the reasons these little wonders are so beneficial. Here are five good reasons to have a handful of blueberries every day. Research shows blueberries can reduce the risk of heart attacks and stroke. Blueberries are one of the richest sources of antioxidants and contain the health-promoting phytochemical, anthocyanin. Blueberries are a good source of vitamin C, which is important for strengthening the immune system. They are a good source of both soluble and insoluble fibre, and can help improve the health of your bowel and keep cholesterol levels in check. Blueberries also supply you with the trace mineral manganese. Prevent hypertension with these easy tips. Incorporate these simple pointers into your routine to decrease your risk of developing high blood pressure. Blueberries contain a compound called anthocyanin, which acts as a potent antioxidant and offers protection against hypertension. Just one serving a week can reduce the risk of developing high blood pressure by 10 per cent. Choose a diet rich in foods with anthocyanin, such as beetroot and red capsicum. Add a handful of blueberries to your breakfast cereal, smoothie or yoghurt. Dirty-face pie — what else would you call a pie you can’t stop eating yet turns your lips, tongue and any other place on your face it touches blue? 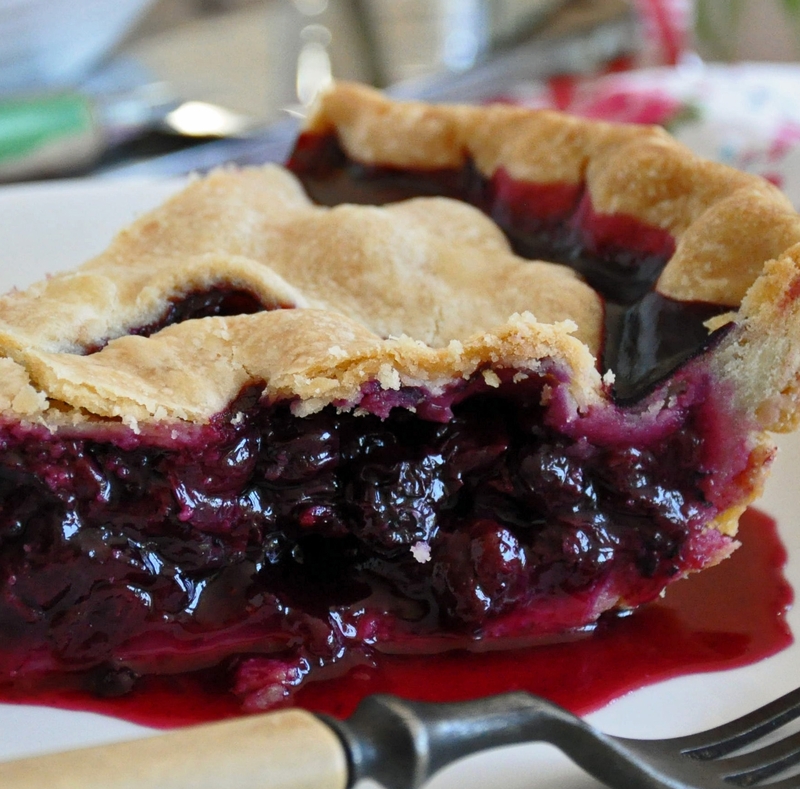 Blueberry pie, of course. A luscious blueberry pie with a lattice of flaky pastry crisscrossing the top ought to get the ribbon for the best of summer desserts. Now that they’re coming in season, you can find big, 1 and one-half to 2-pound cartons of blueberries. It’s easy to put them into all sorts of dishes from salads and sauces to pancakes and pies. Aside from their fresh, juicy-berry brightness, sweet flavor and versatility, blueberries are high in antioxidants, which are chemicals found in certain fruits and vegetables that play a role in cancer prevention and pre-mature aging. They’re believed to help reduce the bad cholesterol and protect against heart attack, protect the urinary tract from harmful bacteria and improve eyesight. In addition they’re low in calories, with only 81 calories per cup of fresh blueberries and have significant amounts of fiber, vitamin C and potassium. With a reputation like that, you’ll want to load up. In many areas of the country, you’ll be able to pick your own if you want extra-fresh ones. He is diabetic and can eat blueberries every day. “They’ll drop my sugar, and I notice it when I don’t have them,” he says. While he says he could get a lot more money from those sold at the farm market – which he does when he has an overload of them – he enjoys having the pickers and families around. “Some of them have never been on a farm before,” Riley says.